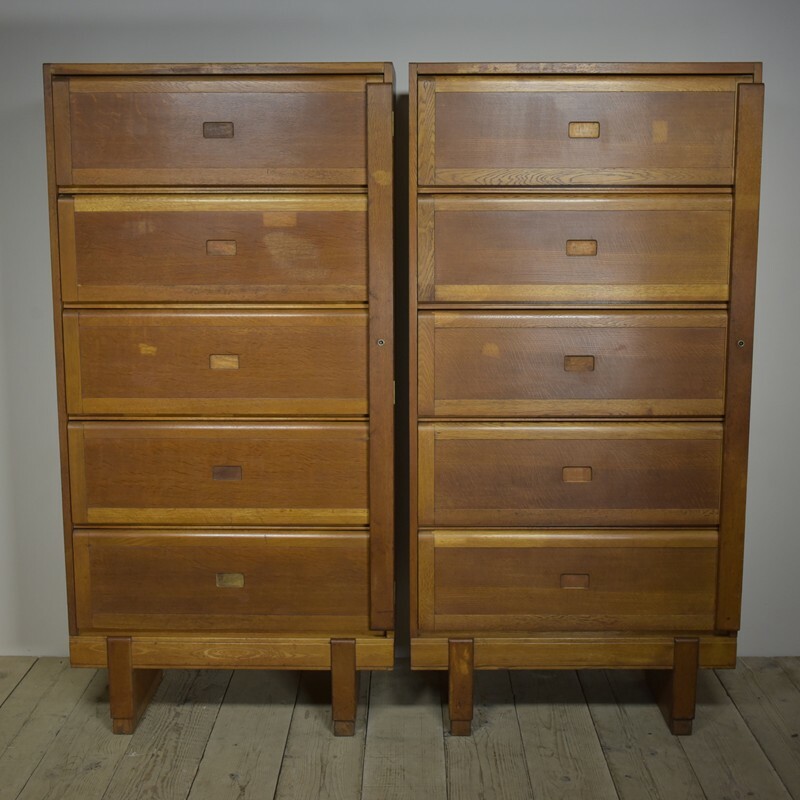 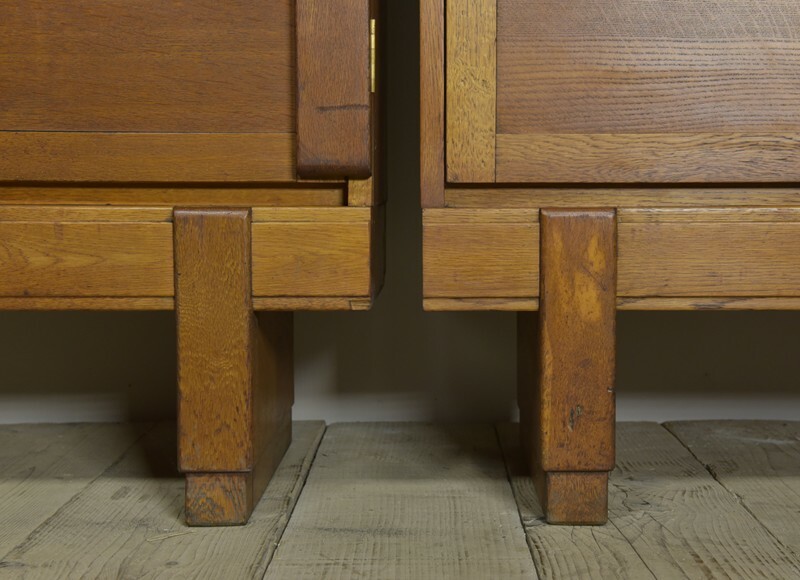 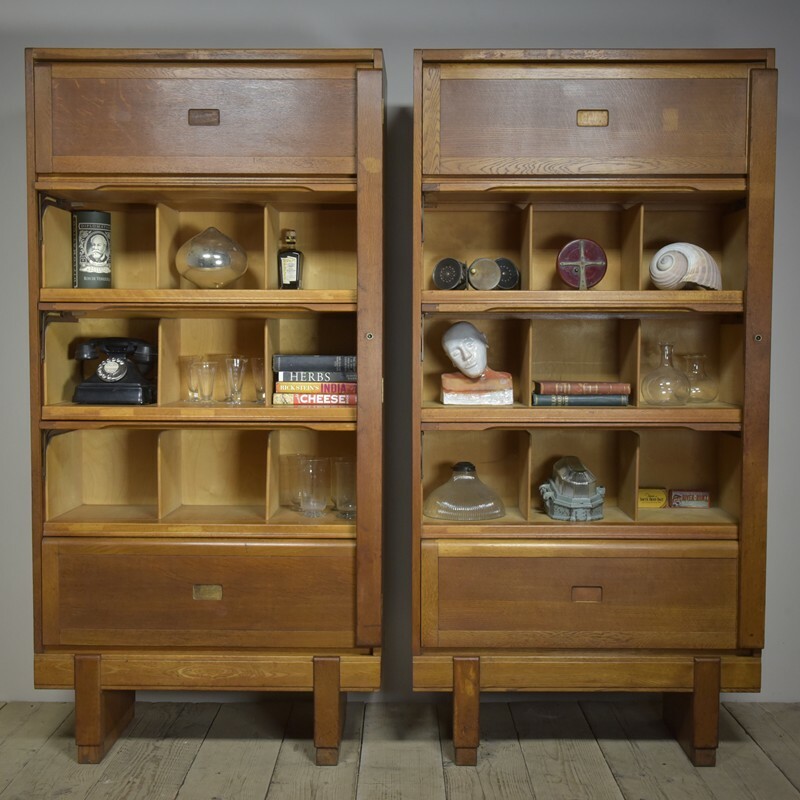 Really useful and well made 1950s oak cabinets by Staverton (England). 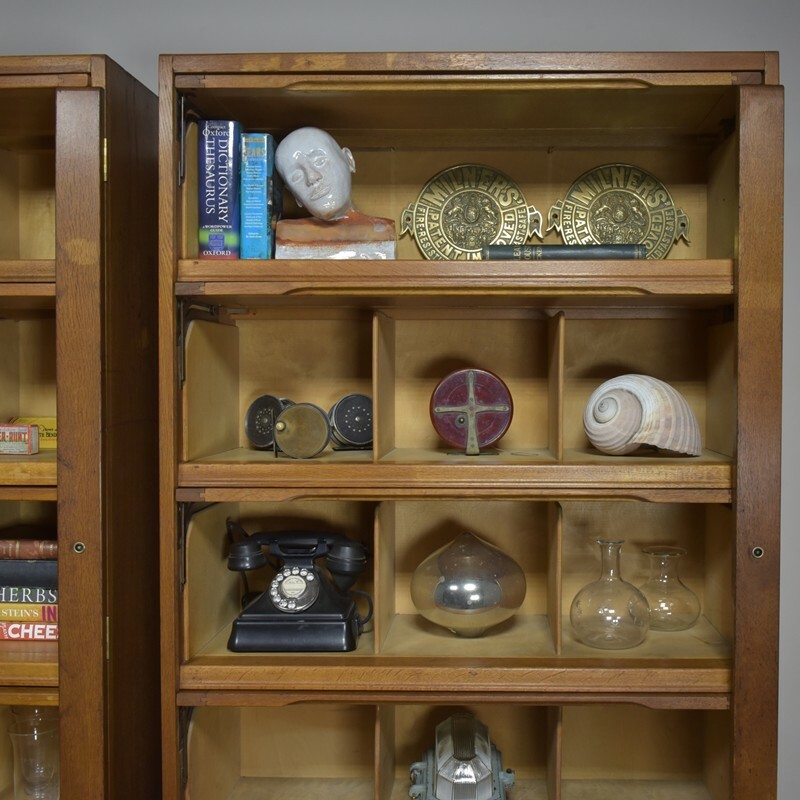 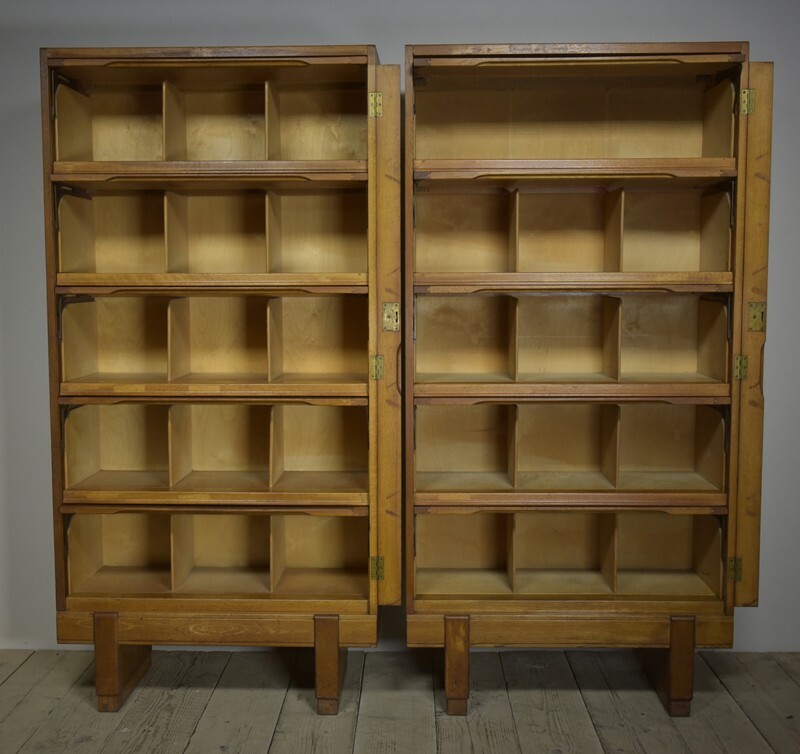 Originally made for commercial use in schools, solicitors officers, government departments etc they would now function well in a home, office or retail environment for many different storage needs; clothes, shoes books, dvds, kitchen storage, display etc etc. 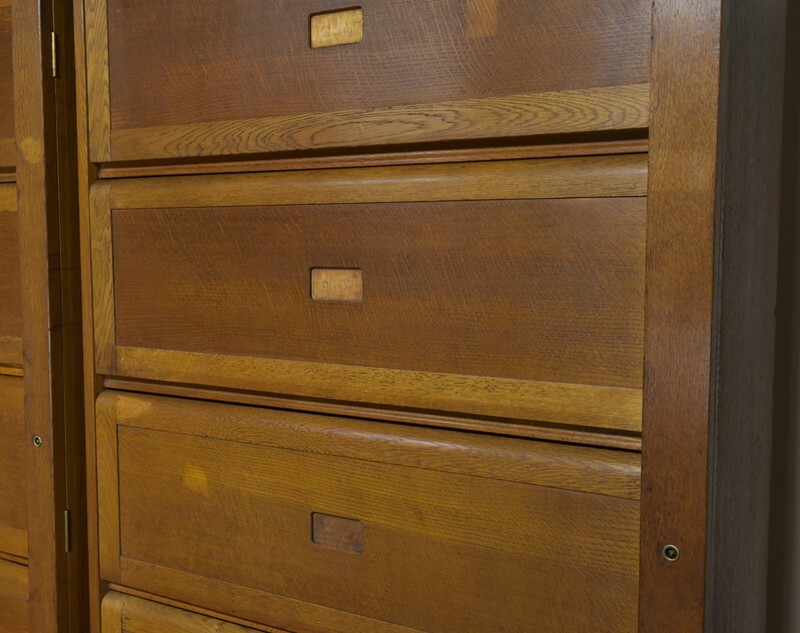 Featuring 5 hopper style doors which fold neatly away into the body of the cabinet. 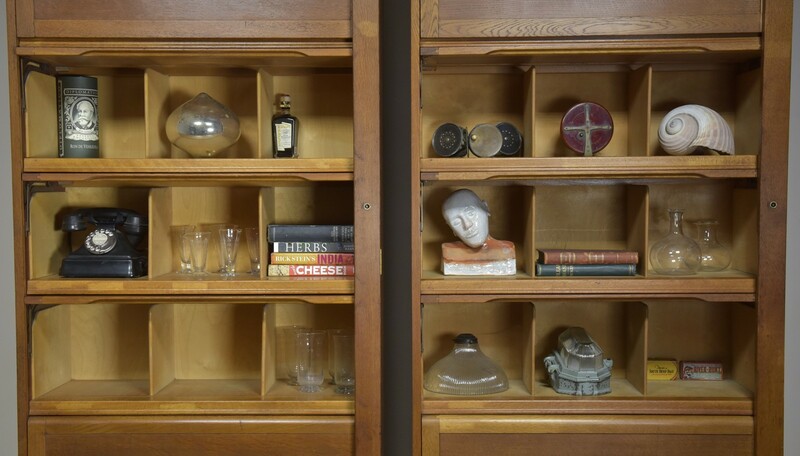 Each shelf has vertical dividers. 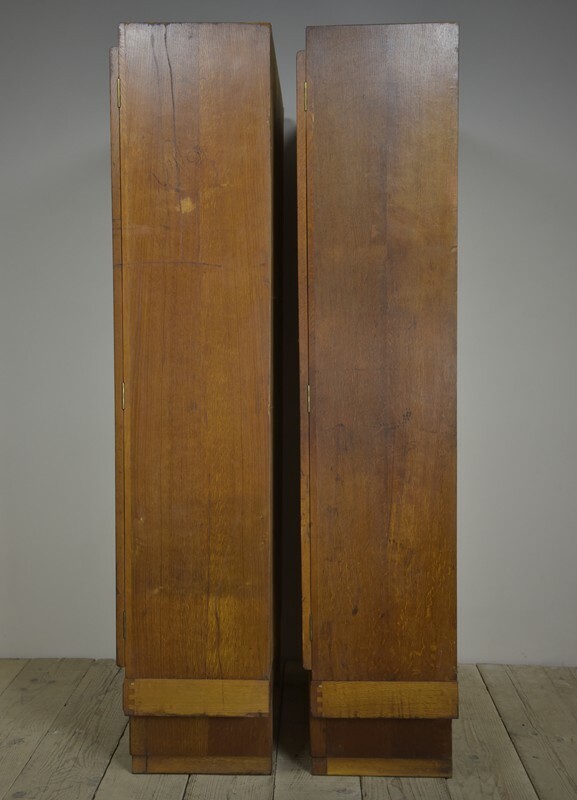 All the doors work well. 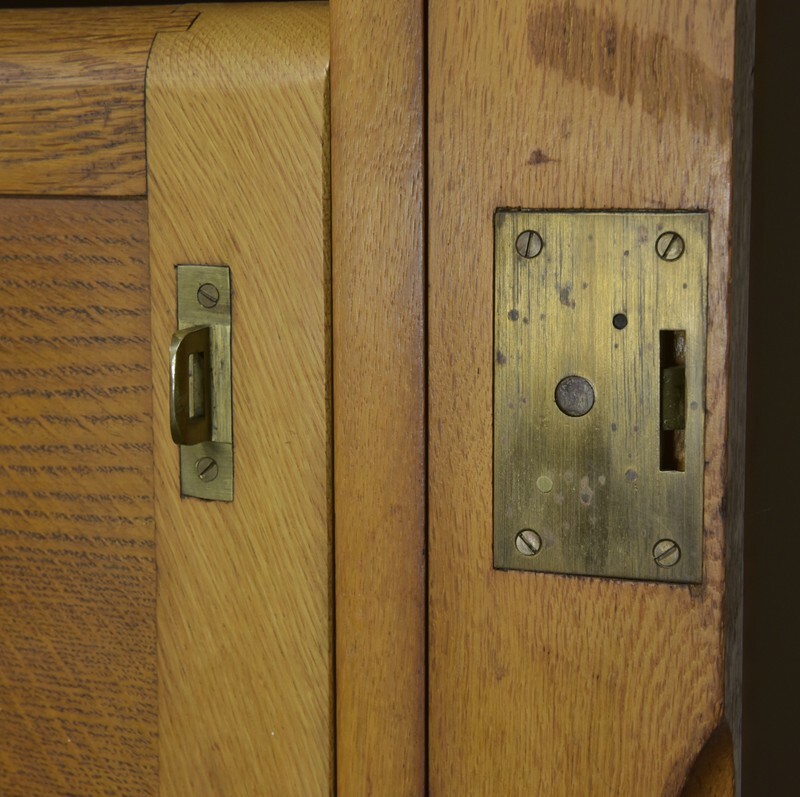 They also have a hinged locking sidebar which works and they will be supplied with a key. 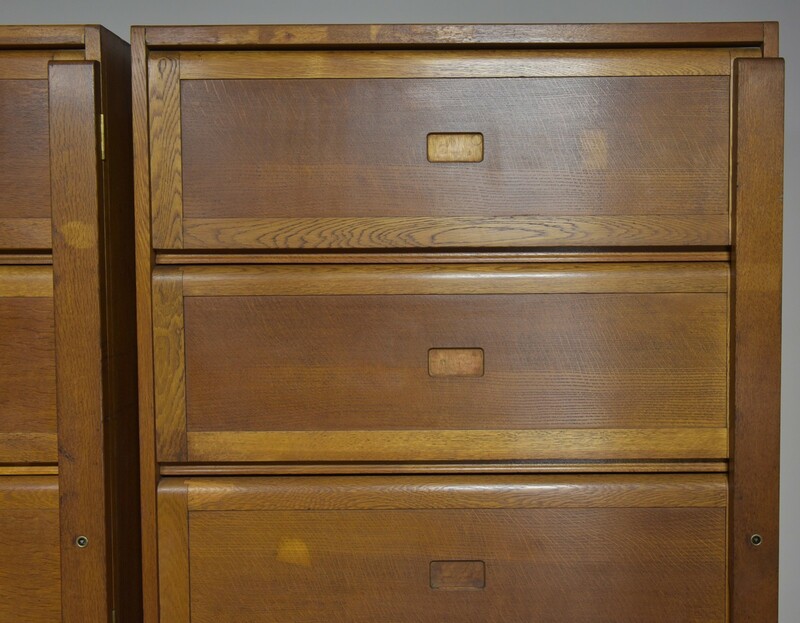 They have been cleaned up and are in good condition with some marks, minor veneer loss and signs of old graffiti.One of these cabinets has a shelf without dividers. 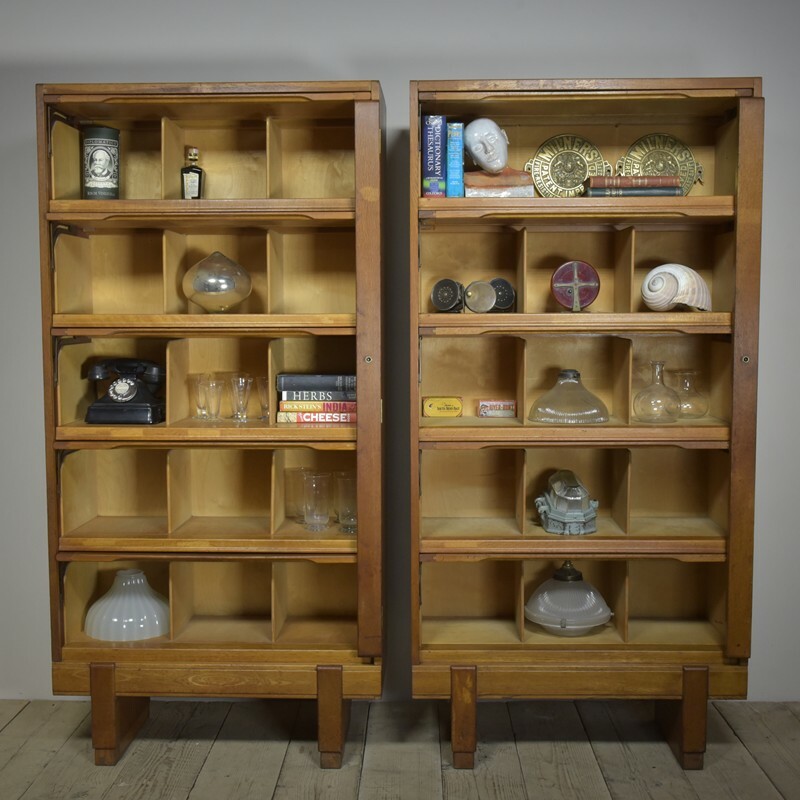 Each shelf is 34"/86cms wide divided into three each with 11"/28cms wide x 10"/25cms high x 12.75"/32.5cms deep of useable storage. I have 8 of these cabinets available.